Patents protect inventions and innovations. The invention or innovation does not have to be ground-breaking to be protectable by a patent. However, it must at least be an improvement on what has come before. The subject matter of a patent must also be new. For example, a patent could protect a new type of quick drying paint, or new ingredient to make gold more pliable or new tools to use in agriculture. Details of inventions or innovations should be kept confidential until patent protection is filed. If it is necessary to reveal information regarding the invention or innovation, for example, for the purpose of obtaining funding or for obtaining technical advice, then this should be done under the terms of an appropriately worded non-disclosure agreement (commonly referred to as an NDA). Failure to keep innovations or inventions confidential can lead to the loss of the ability to file a valid patent because the invention is no longer considered to be “new” as it has been disclosed to others. Only patent attorneys (not solicitors or any other professional) are permitted by law to draft and file patents. Sometimes, an inventor might consider her innovation to be trivial. For example, the reported Australian inventors of the plugboard (multi-adaptor), the Kambrook company, lost millions of dollars in potential revenue because they did file a patent for their invention, meaning that anyone could commercialise it (and many have done so, quite productively). Count how many you have at home. Every house has a plug board at their TV for TV, Foxtel, DVD machine, etc. to plug into the same electric socket. The plugboard is a billion dollar industry. But because it was not patented, others have cashed in and the inventor has missed out on potential royalties. In the years since that invention, no one has come up with anything better, so it is a false assumption to say that patented inventions are quickly outdated. Why Should You File a Patent for Your Invention? A patent is property that has value and can be sold or licensed (including ongoing income streams over many years). It is a lot harder to sell or license know-how or trade secrets. You can use a patent to prevent your competitors from using your technology without your permission. Not every invention should be patented. For example, if your invention is not new and inventive (or innovative) then, even if you manage to get a patent, it can be invalidated if someone shows that the invention was not new/inventive at the time the patent was filed. Your patent attorney should inform you about the prospects of any invention becoming a valid patent before proceeding with the patenting process. Some inventions cannot be patented, irrespective of how inventive or brilliant or game-changing they are. Examples include business methods, some computer programs, genes and scientific theories. If an invention has been disclosed before filing a patent application, it can sometimes be salvaged by what is known as a “grace period”, which in Australia is up to 1 year. There is currently no equivalent grace period in New Zealand (although one is proposed if the Trans-Pacific Partnership TPP goes ahead). Even in Australia, you should avoid relying on grace periods, if possible. One reason for this is that many jurisdictions (e.g. Europe) do not have grace periods, meaning that your own disclosure before the patent can invalidate a European patent. This can severely limit your options for international protection of your invention. Another reason grace periods can fail, is if someone sees your disclosure and then publishes your invention without your consent. This is not considered a self-publication and can be used to invalidate your patent, even in countries that do have a grace period. Grace periods provisions vary from country to country and even when countries have them, they can be very complicated. Inventions can slip through the cracks in these provisions and become unpatentable. What Is The Extent Of My Patent Protection? Each patent is for a single territory. If you want protection in a variety of territories, then multiple patent applications can be lodged in each territory of interest. A family of patents around the world can be created is they all cover the same invention and are filed within one year of the first patent application. If renewal fees are paid throughout the life of the patent, each patent can last a maximum of 20 years. There are various types of patent applications: provisional, standard, innovation and PCT (Patent Cooperation Treaty). Non-provisional patent applications are sometimes known as “complete applications” because they contain a claim set and all of the elements required, whereas a provisional patent application does not need claims in Australia. The process that best suits your invention depends on the needs of your business, the stage of development, your goals and aims and the stage of the invention’s development. Patents grant a negative right, namely the right to prevent others from exploiting the invention, which includes making, using, selling and importing the patented object or following the patented process within the territory within which it is granted (e.g. Australia). However, it does not give you the right to make or sell the patented subject matter yourself. Firstly, it is necessary to make sure that you are not infringing any existing patents. Secondly, it is important to abide by any regulations or laws covering your particular industry. For example, medications have stringent testing processes that need to be completed before approval will be given for sales of medication, even if its patent is already granted and protects the medication. It is possible to obtain patents for improvements to existing technology, provided that the improvements themselves are new and inventive (or innovative). In exchange for obtaining patent protection, the invention must set out in the patent specification with the precise teaching in as much detail as is necessary for a worker in the field to be able to replicate the invention. I have been in the unfortunate position of representing a client in litigation when my client told me during the trial that they had not described everything they developed at the time of filing the patent because they wanted to keep part of the inventive process secret. The client lost the case and the patent because the patent was uninventive without the secret process. To add insult to injury, the competitor on the other side of the case had managed to reverse engineer the client’s “secret” process, leaving the client with nothing. Do not underestimate the importance of telling your patent attorney all the details relating to the invention. When the patent lapses (either for failure to pay renewal fees or after the maximum 20-year term), then the technology covered and taught in the patent document becomes available to the public. Anyone can then make use of the teachings contained in lapsed patent documents without needing a licence from the ex-patent holder. If you use technology patented by others in your own patented (or unpatented) product or process you will need to obtain a license from the owner/s of those patent/s while their patents are still in force. It may be possible to design around the patents of others or to revoke or limit their patents; this is one of the functions of a patent attorney. It is a whole lot easier (and cheaper) to do this before market launch rather than after you receive a letter of demand from another patent holder. A common startup and small business killer is patent infringement. If you infringe someone else’s patent, you are effectively working for your competition (the patent holder) for free as they can get costs and damages/account of profits against you. Even if you decide not to patent your own work, a patent search before you launch is important to make sure you are not walking into someone else’s patented turf. Damages for infringement are generally backdated to the first date of infringement. 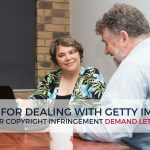 Often, you will only be noticed once you get established so it might be months or years before you get attacked for patent infringement, but this is often more devastating than if they caught up to you early as you may have wasted your funding and time. What is the biggest challenge in creating a patentable idea? The Intellectual Property Guru. His determination to protect innovation stems from a family legacy in which his grandfather, a genius inventor, had his innovations stolen and patented by someone he trusted, which led to his grandfather dying a pauper on a park bench. Mark is an international award winning lawyer and patent attorney and 3-time published author. His prowess in the court room sees him winning cases that others thought were unwinnable. Mark’s passion for protecting intellectual property shines through in his pro-bono legal mentoring, proactive legal workshops and 1-2-1 work with clients.